Welcome to the InfoSec Awards for 2018. It’s been nearly six months in the making – our annual review of the hottest, most innovative, best, market leaders, next-generation and cutting edge INFOSEC companies offering incredible products and services. This year we decided to also include and give credit to a small list of public relations firms that do a great job to help get the word out about these innovators and we’ve included a small list of very important people to keep an eye on – because they are making a difference. We scoured the globe and found nearly 3,000 companies who create and offer the most respected InfoSec products and services. Some of them you have never even heard of until today. Some are startups and some are early stage. Some are bigger known players. But what they all have in common is a drive for innovation. They truly want to help you get ahead of the next breach. They are on a mission to help you comply with regulations, stop the cyber-criminals, hackers, hacktivists, cyber terrorists and threats against critical infrastructure. They offer solutions for businesses and government agencies of all sizes, big and small. The judging continues to be challenging and difficult and to those who are finalists but don’t win this year, stay tuned. There will always be future opportunities to continue to improve and innovate and let us know. The finalists are here for your review. Please join us during RSA Conference 2018 in April, when we announce the winners and let them know you found them in Cyber Defense Magazine. 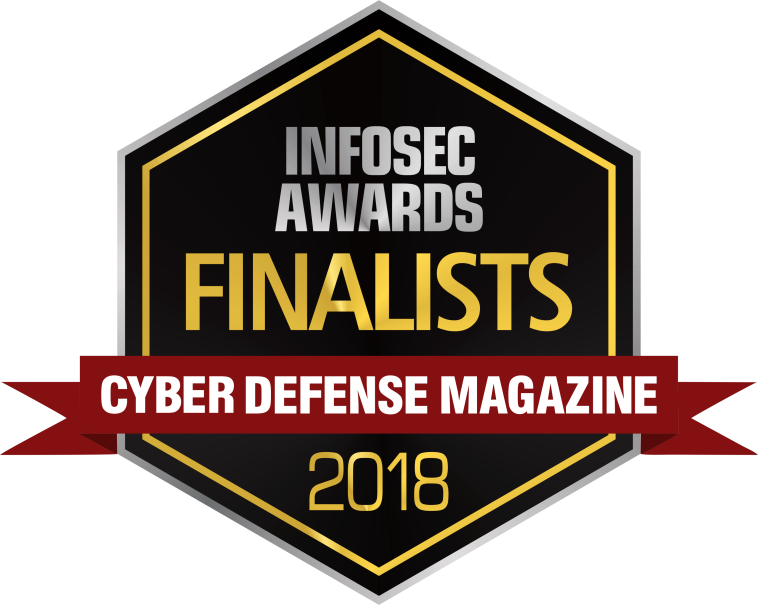 Finalists, please feel free to click this link and download a zip file containing the InfoSec Awards 2018 Finalist logo to use on your site and in your marketing. We took this list of almost 3,000 cyber-security companies around the globe and narrowed it down to just under 500 market leaders as finalists and of those our judges will select, there will be less than 200 winners. Bluedon Information Security Technologies Co, Ltd.
P.S. Finalists, please feel free to click this link and download a zip file containing the InfoSec Awards 2018 Finalist logo to use on your site and in your marketing. If you feel you deserve an award and didn’t make this list, please visit this link, before March 31, 2018. Please also stay tuned as we launch http://www.cyberdefense.tv during RSA Conference 2018 where we plan to stream live videos and produce “C” level HotSeat executive interviews with a select group of winners. Concerns, ideas, needs? For more information on “HotSeat” 5 min interviews (20 min total time needed) during RSA Conference 2018, reach out to us via email anytime at marketing@cyberdefensemagazine.com.